Chrysler 300 is what you’d get if you mated American muscle with Rolls Royce. It’s timelessly elegant, thanks to its classic design and proportions. In stretch limo version, it’s the car of choice for Elegance Transportation when our clients need to make a lasting impression. This is the limousine you want to step out of if you’re stepping onto a red carpet. First of all, this limo gives you a ton of space to relax and enjoy a drink in the back before you arrive. If you’re heading out to a party with friends, there’s plenty of room for everyone. Some added luxuries include an awesome sound system, a mini bar and ambient mood lighting. 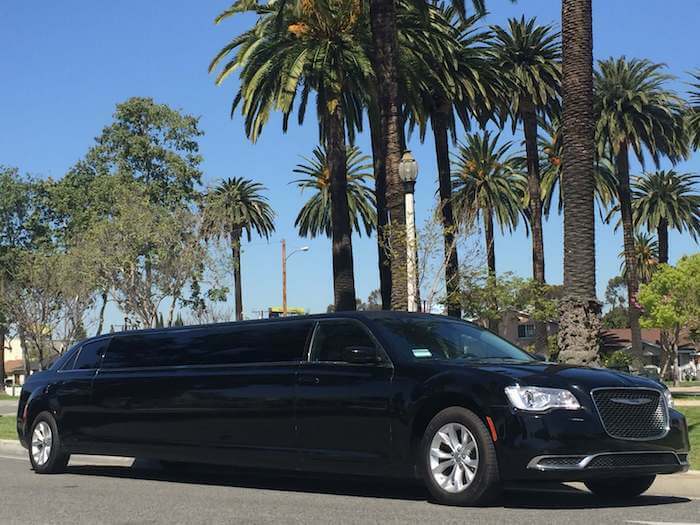 Elegance guarantees that you’ll enjoy complete privacy and luxury in our Chrysler 300 Stretch Limo as our professional drivers chauffeur you to your destination. Call us today and ask us for our party, wedding and prom specials.